Know what you want — As a manager, it’s important that you go into a negotiation knowing what you want as the end result. Make sure you put a lot of time and thought into what you want and why you want it. Remember that it is important for you to consider what’s in it for you financially, emotionally, intellectually, physically, etc. Knowing what you don’t want will also help you while going deeper into negotiations. 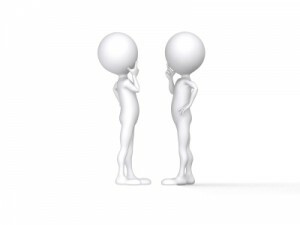 Know what your counterpart wants — Your counterpart will also have an agenda when he or she enters the negotiation. Make it a point to understand beforehand what he or she wants the conclusion of this negotiation to be. Understand the financial, emotional, intellectual or physical resolution that he or she is looking to walk away with. Anticipate objections — The negotiation process is not always easy. As a manager, you have to understand that you will meet some objections from your employee along the way. You need to prepare yourself for this by doing your due diligence prior to the negotiation. Make sure that you have relevant evidence at your fingertips with which the other party can identify and relate to. Identify concessions — Determine your absolute non-negotiable items and desirables and what you are willing to give and take. You are certainly not going to walk away from every negotiation with all of your needs satisfied. Negotiations are all about the give and take, and as a manager you need to be prepared to meet your employee half way. Determine your “walk-away” — When you determine your “walk-away,” you define the point at which there is no need to proceed with the negotiation. Prior to the start of the negotiations, you must ascertain your own “walk away” point. This will be your single most important source of negotiating power, so once your “walk away” point is met, you need to make sure you take action. Practice with a partner — As is the case with any important presentation you have ever made, you always want to practice. You could be faced with a difficult discussion and it is always best to make sure you rehearse possible outcomes. By practicing with someone else you will build your confidence with the situation and it will ultimately help the negotiation run as smoothly as possible.